And with that may I present to you the Crumpler Dry Red No. 11. Available in red and black color. As big as it may seem, a full size luggage of 50cm x 76.5cm x 31.5cm, it's empty weight is around 4.5 kg, Wow! that's additional 3 kg of your stuff from your previous luggage. And it stores a whopping 85 L of your travel stuff. It has six storage zones, a front zippered pocket with two-compartment organizer and key/padlock loop, twin gripper zippered 85-litre main storage, zippered mesh pockets to the opening flap, two zippered sidewall mesh pockets, a foldaway shoe bag and get this an eye mask and carry bag. It has four-on-the-floor wheels, to give you ease in handling, even executing 360 degree spins without a sweat. And it also has elasticised compression straps to keep your stuff in order even after a long haul. And so that goes with our Dry Red No. 11, your all-in-one luggage. It is light in weight, heavy on features, perfect for short stays and overnighters. 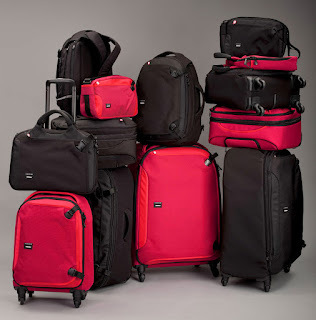 As a carry on luggage, it has an accessible front pocket, that will hold your laptop and personal items, the main compartment holds your clothes perfectly. You can even check it in, and the whole thing locks up to ensure the security of your belongings. 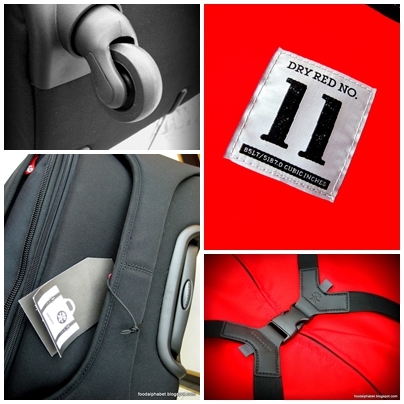 With 6 storage zones, a foldaway shoe bag, elasticised compression straps, Neoprene grip three-position trolley handle, dual padded grab handles and anti-jam wheels, the Dry Red No. 3 is your perfect carry-on luggage. Want to win this? Here's how! Like "The Food Alphabet and More" on Facebook. 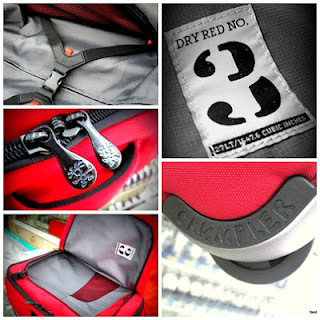 Like "Crumpler Philippines" on Facebook. Copy this message on your Facebook Status. Join now! @friend1 @friend2 @friend3 http://bit.ly/I4XQIS "
Tag The Food Alphabet and Crumpler Philippines on your Facebook post! Don't forget to tag 3 of your friends! Winner will be picked by random. This giveaway starts today until May 11, 2012 midnight. Thank you to Crumpler Philippine for sponsoring this giveaway! Good luck to all! hi .. i'm joining! I want this for my first out-of-the-country trip! Comments section closed.. good luck to all the entries.. will announce in a few days after I check all the entries.